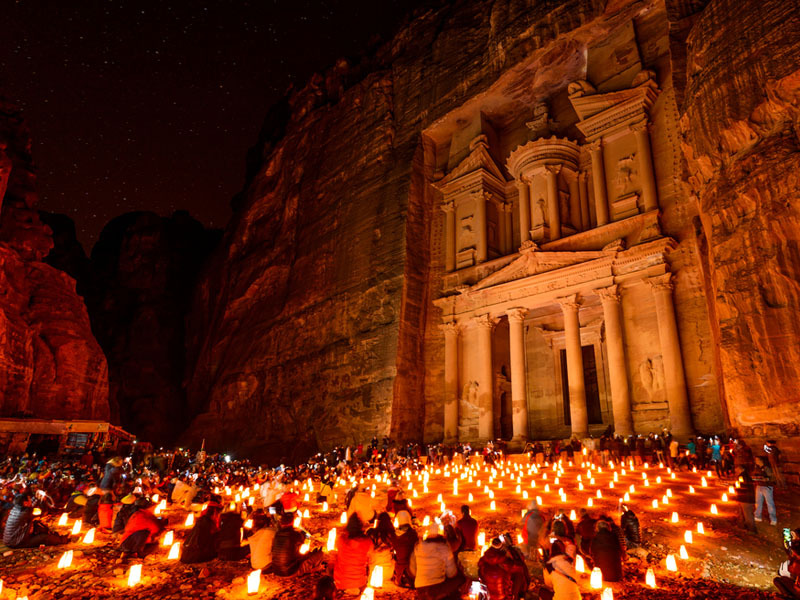 Biblical Jordan & Israel – Divaishnavi Travel & Tours Inc. Depart from Manila to Amman. Enjoy your flight amenities while on board. Arrival in Amman. Meet and assist at Queen Alia Airport. Meet your Jordanian guide and board to your airconditioned bus to MADABA, the city of Mosaic. Continue to visit MT. NEBO, where Moses viewed the Promised Land before he died. Then, continue to your hotel for check-in, dinner and overnight. 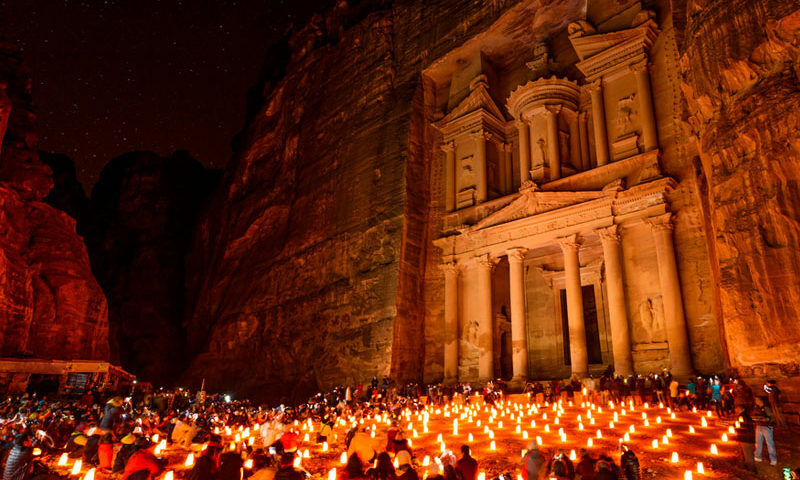 After breakfast, Proceed to your full day tour to Petra, “a rose-red city half as old as time", the place in the desert that is prepared by God for the Jewish people. Also experience horseback ride through the picturesque SIQ, and visit the TREASURY, a rose colored monumental building artfully carved out of sheer rock. Transfer to Amman. Continue to the hotel for dinner and overnight. Breakfast at the hotel and proceed to the border crossing ALLENBY BRIDGE (or King Hussein Bridge). Upon arrival Israel, drive to Jericho for a view of the MT. OF TEMPTATION and the Sycamore Tree. Continue to QUMRAN where the Dead Sea Scrolls were found, were written over 2000 years ago. Lastly, spend some time at the lowest point on Earth, the Dead Sea. Later in the afternoon, we will proceed to Nazareth for hotel checkin, dinner and overnight. Hotel breakfast. After breakfast drive to MT. TABOR, the site of Jesus' transfiguration. In remembrance of this, the CHURCH OF TRANSFIGURATION was built in 1923, Drive back to GALILEE area and view the ancient boat excavated on the shores of the Galilee, believed to have been used during the time of Jesus. Enjoy a boat ride along the SEA of GALILEE where Jesus walked on the water, calmed a storm, and showed the disciples miraculous catches of fish. Drive up the MT. OF BEATITUDES, where Jesus delivered the Sermon of the Mount. Drive down to CAPERNAUM, Jesus hometown and the scene of many of his miracles, and where Jesus recruited his first disciples. See the ruins of an ancient synagogue, one of the earliest and best preserved of the Galilean synagogues. On to the church built over the ruins of what was believed as the house of St. Peter. Proceed to TABGHA and visit the Benedictine CHURCH OF THE MULTIPLICATION OF LOAVES and FISHES, a 4th century church. Beneath its altar is the rock on which it is believed Jesus placed the loaves and fish when he blessed them On to CHURCH OF ST. PETER’S PRIMACY, built in 1934, is where Jesus is believed to have made his third appearance to his disciples after his Resurrection. Drive to YARDENIT, a traditional baptismal site on the Jordan River for the renewal of baptismal vows. Drive to the hotel for dinner and overnight. Breakfast at hotel. continue for a boat ride at the Sea of Galilee where Jesus' performed some of His Miracles like when he walked on the water (Mark 6:48). On the cruise, have an opportunity to reflect on the messages of our Lord as we savor the beauty of nature while sailing at the Sea of Galilee. Then onto Nazareth, the place where Jesus spent His childhood; the Church of the Annunciation which was believed to be where the angel Gabriel Announced to the Blessed Mother of Christ which she humbly accepted, "Behold I am the handmaid of the Lord. May it be done to me according to your word" and Mary's well. Drive to Cana for a visit of the Church of the First Miracle known also as the Marriage Church, here couples will have an opportunity to renew their marriage vows. Drive to Haifa atop Mt. Carmel where Elijah confronted the prophets of Baal. Visit the Carmelite Monastery, Stella Maris and the Persian Gardens. Drive to Bethlehem for hotel check in, dinner and overnight. After breakfast, proceed to the OLD CITY OF JERUSALEM stopping first at the CHURCH OF ST. ANNE, best-preserved Crusader church in Jerusalem. It marks the traditional site of the home of Jesus’ maternal grandparents, Anne and Joachim, and the birthplace of the Virgin Mary. Visit the POOLS OF BETHESDA, identified as the scene of one of Jesus’ miracles, the healing of the paralyzed man. 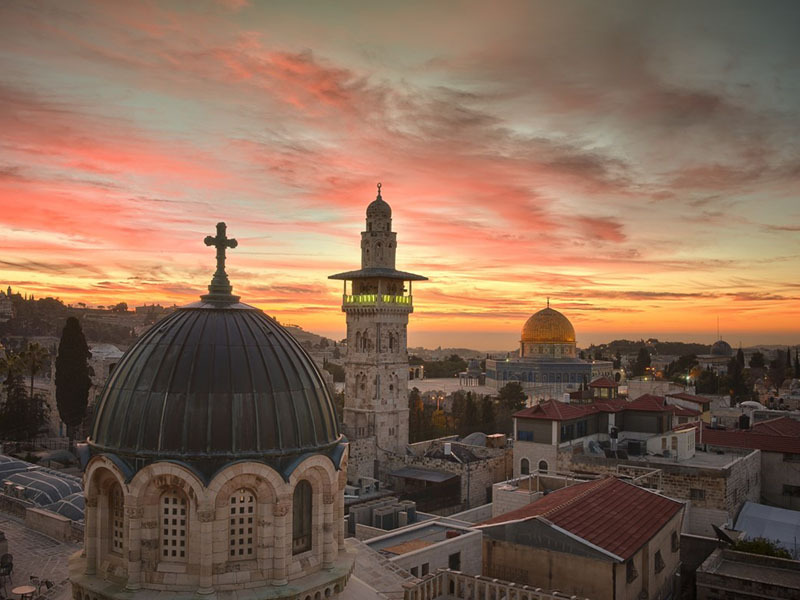 Follow the 14 Stations of the Cross along the VIA DOLOROSA and site of the crucifixion, CHURCH OF THE HOLY SEPULCHRE, now shared by six Christian communities. On to Mt. Zion to visit the room of the LAST SUPPER, a second-story room in Jerusalem that commemorates the "upper room" in which Jesus shared the Last Supper with the disciples located directly above the KING DAVID’S TOMB. Visit the nearby his immediate repentance and his reconciliation with Christ. Drive to EIN KAREM, the birthplace of John the Baptist. Visit the CHURCH OF THE VISITATION where Mary went to see her cousin Elizabeth who greeted the future mother of Jesus with the words “blessed art thou among women”. 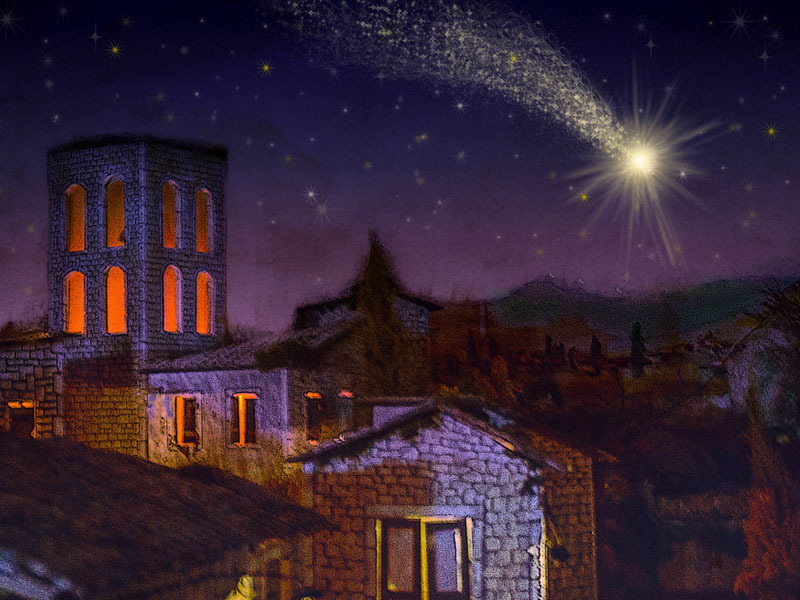 Mary responded with the “Magnificat”, a song of praise to the Lord. Transfer to hotel, dinner and overnight. Breakfast at hotel. Check out, visit the Old City of JAFFA and St. Peter’s Church. St. Peter’s Church, drive to Allen by Border to cross to Jordan Continue to transfer at the airport for flight back home.